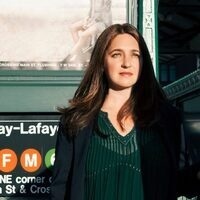 The Pacific Northwest premiere of a bold new work for piano and strings by celebrated composer Philip Glass, performed by chart-topping pianist Simone Dinnerstein and the OBF Orchestra. The new commission will be paired with Bach’s Brandeburg Concerto No. 3, Piano Concerto No. 7 in G Minor, and Glass’ own String Quartet No. 5.